David Mackenzie has become the most prolific and admirably unpredictable of Scottish filmmakers. 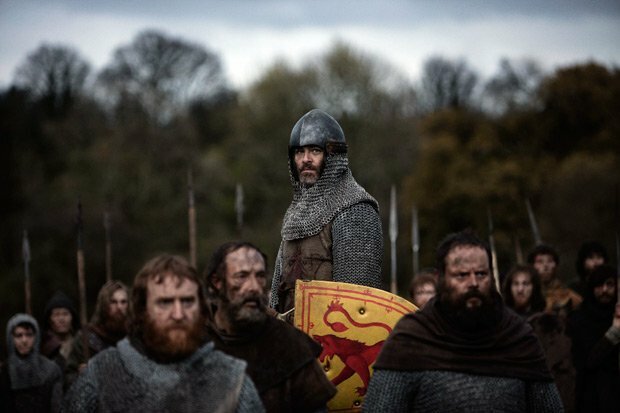 His tightly coiled 2016 Texas thriller Hell or High Water was an Oscar nominee for Best Picture, and Outlaw King reunites him with that film's star Chris Pine for a rousing 14th century epic that is one of the biggest budget films ever made in Scotland. The connecting thread in Mackenzie's recent work (2013's Starred Up included) is of men seeking to remain true to their core values as they confront personal hells and public injustices. Pine's softly accented Robert The Bruce is no exception. In pursuit of a lasting peace, he reluctantly accepts England's Edward I (Stephen Dillane) as Scottish King and agrees to an arranged marriage. Florence Pugh is terrific as his bride Elizabeth, making her a shrewd, independent-minded figure and ensuring that the match with Robert is a meeting of equals.The gradual realisation that the future of his country will require Robert to betray his promise of loyalty to Edward and embrace the role of outlaw lies at the heart of the film. Cut by 20 minutes since its Toronto premiere, Outlaw King is a little abrupt and choppy in its early stages but conversely leaves you wanting even more. Once noble deeds and thorny dilemmas resolve themselves in action, it becomes a boisterous, blood-drenched history lesson determined to balance authenticity with enthralling storytelling. Cinematographer Barry Ackroyd's loving use of rugged Scottish landscapes and castles really does make the country a character within the story whilst the ferocious, gory fight scenes are pitched somewhere between a mud-spattered Kurosawa classic and the horrors of Elem Klimov's Come and See. Bringing the period alive and making the politics accessible to mainstream moviegoers, Mackenzie continues to emphatically prove himself a director for all genres. General release from Fri Nov 9, and available to watch on Netflix from Fri 9 Nov.